On The Structure of Scientific Revolutions, published mostly in 1962. Does scientific knowledge simply accumulate as we learn more and more, coming closer and closer to a full and truthful picture of the world? Kuhn says no! Instead, each scientific sub-culture has its own "paradigm," or model for what constitutes legitimate science, which includes what problems to study, what to counts as a result, some background assumptions, and other things nebulous enough that you really can't enumerate them. While Kuhn still believes that the movement to a new paradigm constitutes progress in a sense, the traditional picture of progressive science is still wrong. Dylan enthuses at a weary Mark, Wes, and Seth over this fast and furious book, which is chock full of stories about phlogiston and all things mechanico-corpuscular. Read more about the topic and get the text. Listen to Dylan's introduction. End song: "Retrogress" from The Fake Johnson Trio New & Improved EP (1996), remixed now with freshly re-recorded vocals. 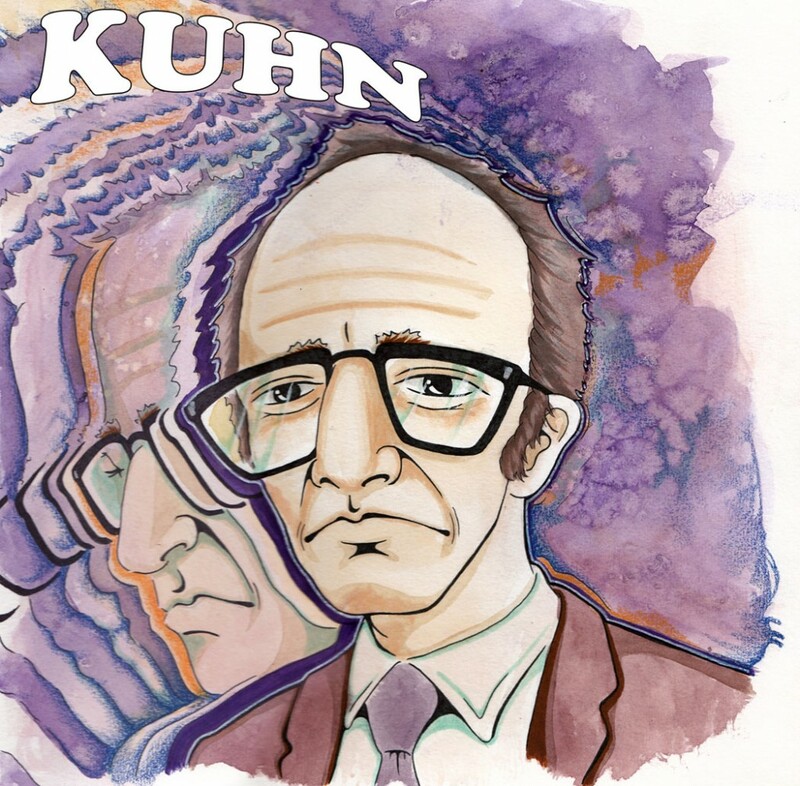 What is interesting is that Kuhn was interested in philosophy enough to raise philosophical concerns such as perception, but not trained enough to flesh out the implications of his observations. I think that he both did well to respect science (he understood the value of probability in doing science vs Popper) while introducing the philosophical implications. He took a kind of phenomenological, geneaological, sociological approach to science, revealing its evolutionary meanderings and political nature and not just objective nature. “Paradigm” became the central terminology of his new assessment and reflects the newness and the limitation of his investigations. We need a new Kuhn to do for science what Foucault did for sexuality. ya mean like: http://en.wikipedia.org/wiki/Ian_Hacking ? How cool. No sooner said than done, thanks to Ian Hacking. Looking forward to sorting through this. Thanks, dmf. Having taught Intro and Social Psych multiple times, the following site might be illustrative. Hey all, enjoyed this podcast. Here’s an article on Kuhn’s influence from Ludwik Fleck, thought it might be worth sharing if you get a chance to check it out. It raises some interesting points on the origin of Kuhn’s use of the term ‘paradigm’ among other things. Looking forward to the next podcast! So I went back and listened to it again then re-listened to this episode. Do a J Krishnamurti episode! I finally got around to listening to the Kuhn episode. This work was one of the more influential in my own graduate studies and I was really interested in your various takes. Toward the end of the episode you (one of you three – I only recognize Seth’s voice uniquely) offered two criticisms that struck me: 1. that Kuhn’s insights are fairly obvious and therefore uncontroversial (and, therefore, implicitly brushed off) and 2. in reality all of the various paradigms, though serial, can be reconciled with one another. I think both criticisms dismiss much of Kuhn’s insight as to the social construction of science as an endeavor not subject to human construction. Modernism (so I hear) really did celebrate science as a transcendent endeavor, perhaps as a way to salvation from human imperfection in the search for Truth, and Kuhn’s insight was a more profound criticism of that view than I think you allow, especially for 1962. The second is a bit ironic because the implication is that science really is truth, and not human, because the modalities can always be internally reconciled. I think that criticism is probably contrary to Kuhn’s point as well as the evidence he cites. The Economist featured a cover story that I think illustrates the continuing relevance of Kuhn’s contributions. In the October 19 edition, “How Science Goes Wrong”, the article “Trouble in the Lab” highlights some of the very practical implications of Kuhn’s insights. The article begins by convincingly arguing that replication, the cornerstone of modern science, is actually quite rare and more practically difficult than generally recognized. Therefore studies and findings that may not be validated are often the basis for issuing grants, for government policy and funding decisions and, on a more individual basis, decisions on promotion and tenure. In Kuhn’s terms, the article may be an exploration of the triumph of the incentives prevailing for normal scientists, as well as a reiteration on how prevailing paradigms dictate the interpretation of data. Specific incentives include prizing “pioneering” work over replication in both grants and publication, the pressure on younger normal scientists to validate rather than negate findings, and the celebration of “surprising” results, which leads to disproportionate testing of surprising (that is, unlikely) hypotheses. The article illustrates how restricted access to data, to proprietary software, and to specialized knowledge exacerbates these incentives and colors the findings in many published studies, ultimately leading in some cases to a truism: a study isn’t truly validated until the same results are achieved. In short I think your podcast is awesome, but I also think that Kuhn’s work is more relevant to policy, to news coverage, and the social acceptance of scientific evidence than I would have gathered from the podcast alone. Thank you for another great episode! 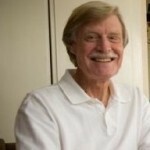 Kuhn insists on the world-change impact of paradigm shifts. In my opinion he is overselling, but there is validity in what he asserts. If I were to insist the same thing, but add that the world change just is not always significant enough to affect things in a meaningful way, would I be correct in this position? ?